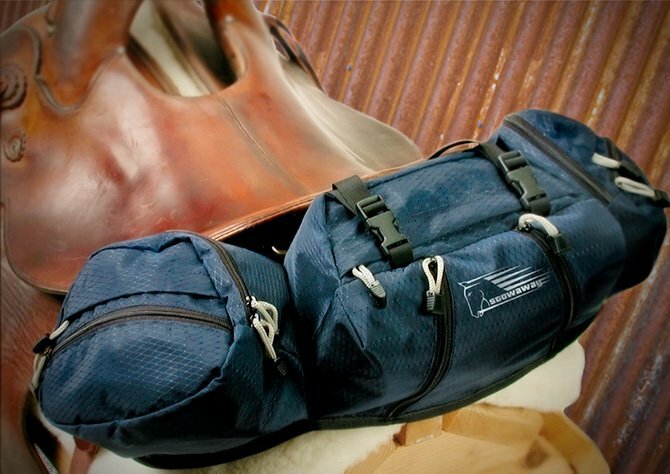 Made to fit most Western, English or Endurance Saddles. 9 zippered easy-access compartments to organize and store essentials. Carry up to four #2 Easyboots, Epics or Gloves, or two #8 Trails or extra water bottles. Nylon adjustable straps with reinforced tabbed ends for tying down a coat or securing contents. Large compartments are designed to hold all of your on-the-go necessities. Side pouches can hold extra water bottles or horse boots. No water bottles are included.